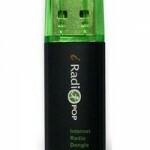 The first model will connect to a 3G/HSDPA/HSPA device via Bluetooth for Internet connectivity. When connecting to the Internet from an external device (Like an iPhone), the customer’s existing service provider is the default network. They have various models in the pipeline which may have their own internal modem. The prototypes are the New Jersey 600i and the Hamburg 600i. Both will provide access to tens of thousands of miRoamer stations when connected to a smartphone on an unlimited data plan. 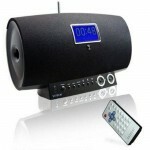 The stereos will also offer phone, address book and navigation via Bluetooth. One of the options available is to post your playlist files on the Internet, on a free blog site. 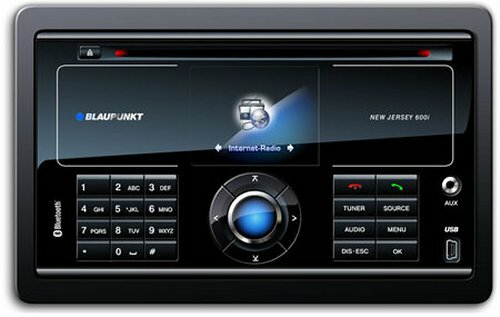 They don’t occupy much disk space and since they just link to remote files you could bookmark those playlists on the Blaupunkt radio to access anything you want from the road. 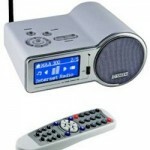 You can customize favorites, search options and more using your computer at miRoamer.com and access them later through the radio. Given that this has a screen and a web connection, I wonder if they plan to expand the functionality here – you could add GPS, in-car computing, all kinds of stuff. Might be neat.